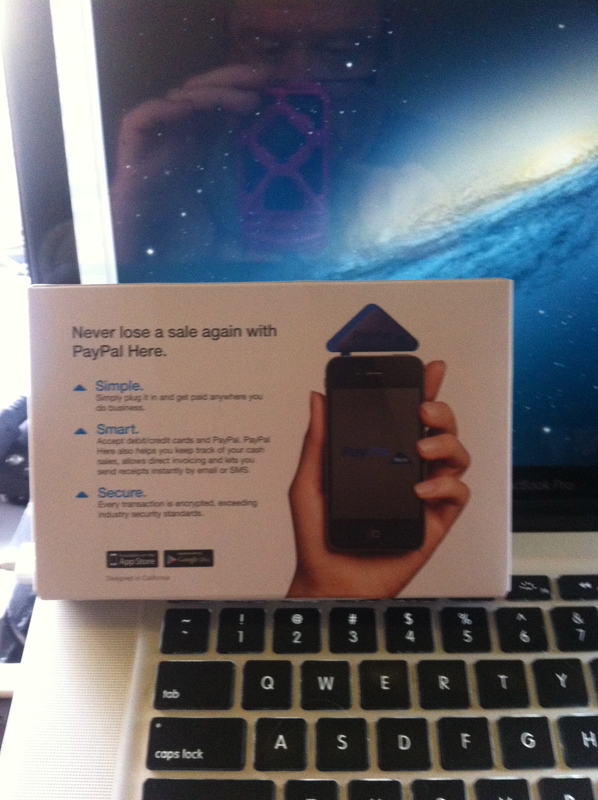 PayPal Here, a card reader and app for taking payment on your iPhone or iPad finally comes to Australia, getting in before Square and Apple’s likely credit card system. Some time back, I introduced a video from Square in my “IT for Psychologists” workshops which I offer in Australia. At the time, Square was just beyond being a startup. Square offered a small hardware device which plugged into your iPhone headphone jack and communicated with its own app so you could accept credit card payments. The Square card reader “swiped” the card, and the money would soon enough be transferred to your nominated bank account. The video still excites many of my colleagues even though it was made several years ago, and it’s yet to be made available in Australia. 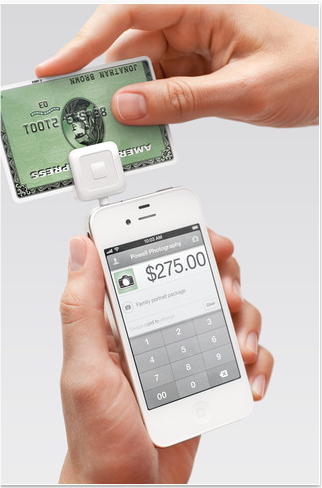 It’s been reported that Square has since enjoyed an investment from VISA after initial warnings of “security issues” from Verifone, a maker of card readers More recently, Square has expanded its wares to purposely include iPad-expanded abilities for point-of-sale businesses. There has been talk of Square coming to Australia, where many psychologists use those old bank-leased card readers, which usually means you also need to have a landline, or a more expensive 3G model. Some like to use it because one bank has arrangements with Australia’s Medicare national medical health scheme, allowing payments to be made directly into the psychologist’s nominated account. But for the many solo psychologists who work in multiple locations, these solutions are not particularly cost-effective, since one pays a monthly fee for the lease, as well as a percentage per transaction, a 30c fee, and other ancillary set-ups fees. It’s essentially a monopoly situation, which I have rejected in my own practice. For those who want to pay me by credit card, they receive ahead of their appointment, advice that credit card payments can be made via PayPal, with a surcharge of $5 to cover the fees I am charged (a little under 3%). This keeps the banks in their place. The other electronic alternative (cash is certainly accepted; cheques are a dying monetary exchange system in Australia) is direct debit, where the patient can make an online payment from their bank account. Neither they nor I receive any costs for this transaction. For that reason, I have the apps of the most popular banks installed on my iPad, so patients can either pay at the end of the session using my iPad, or pay at home or their office. 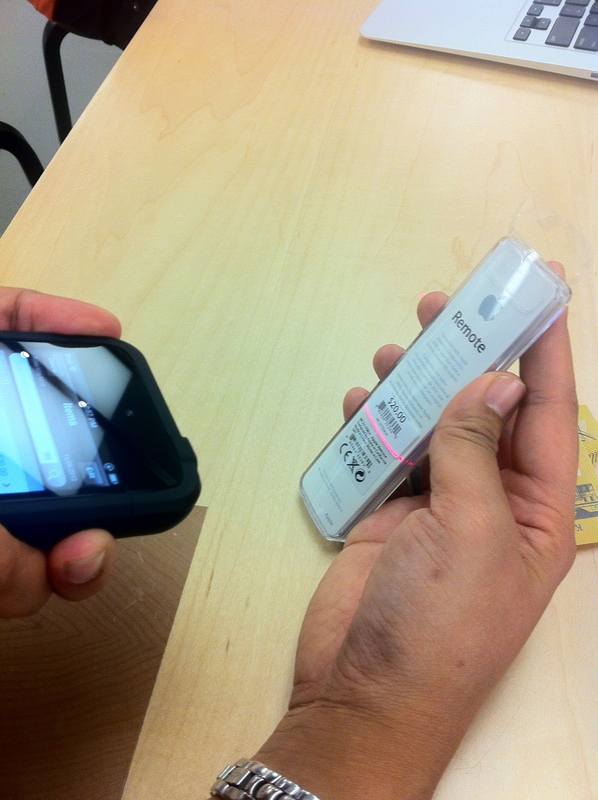 Many now use their own iPhone during the session to make their payment. Once they use my bank details, websites usually keep me as a preferred payee and those details don’t need to be entered a second time. 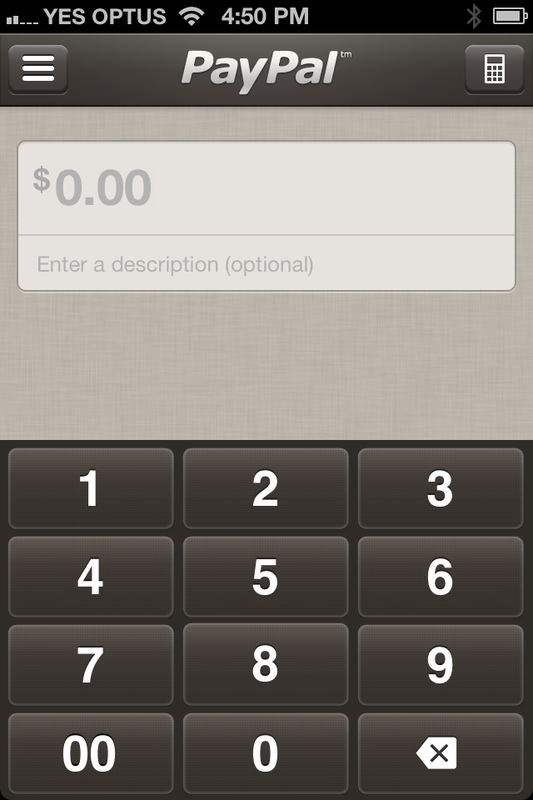 The case for an iPhone or iPad enabled payment system is a no-brainer. One wonders, what with the Samsung vs Apple trial currently under way, if Apple ever thought its iDevices would be used this way. 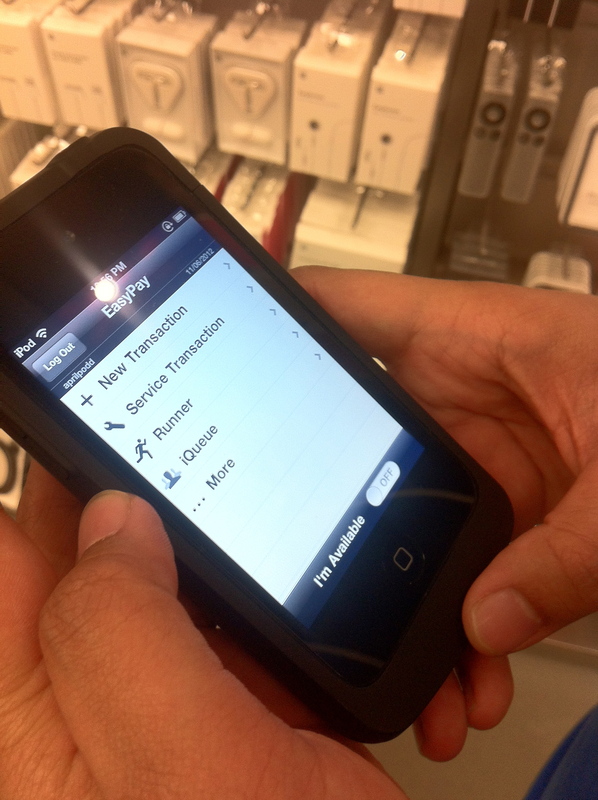 After all, even in its own Apple Stores it formerly used Windows CE-based portable card scanning devices. These were replaced, perhaps with a big sigh of relief, with iPod touch units and an EasyPay system, as its called. 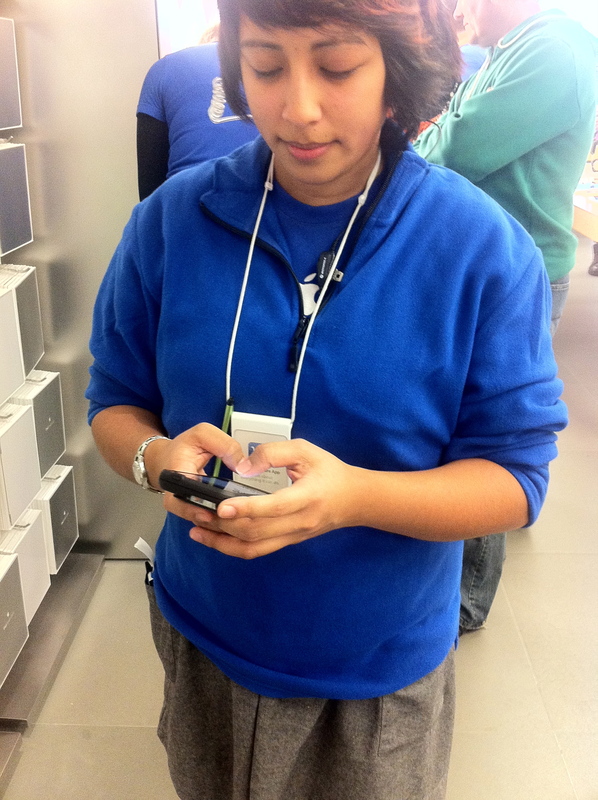 At left, is an Apple Store employee in Perth, Western Australia using one when I visited in June 2012. The units incorporate both a card reader and a bar scan reader and after taking your money, a receipt will be emailed to your nominated address. If you’ve purchased before, your details will quickly come up from the server and speed up the process. More so, you can now use an EasyPay app on your own iPhone to make your purchase without even sighting an Apple Store employee! Returning momentarily to Square, some have mooted it might make an excellent acquisition for Apple, as reported in the New York Times recently, above. What makes the NYT report incorrect is its report that the Square service is “a unique electronic payment service through iPhones and iPads”. There are several competitors, not all of whom use a card reader. 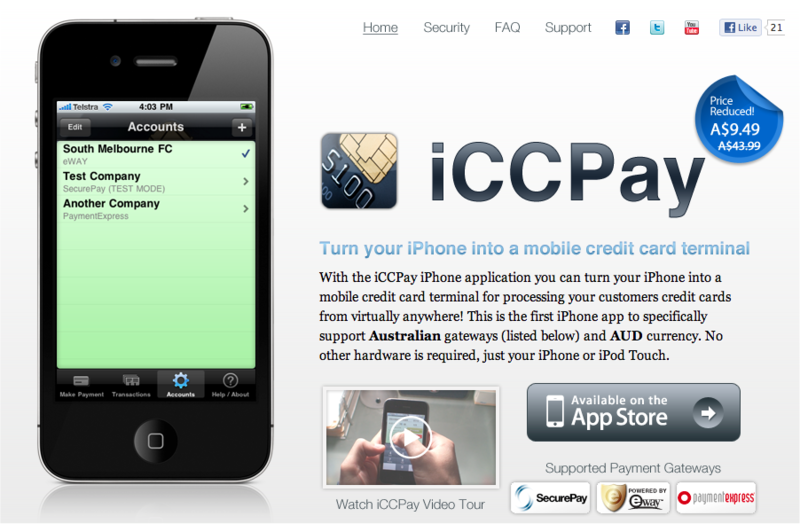 One is ICCPay, which I also mention in my IT workshops, below (Shame on the NYT for not doing its homework). The app needs to be used with a gateway linked to banks, and for some people these extra steps may prove to be a hurdle. With the next iPhone not very far away, others have suggested Apple has its own plans for an iPhone based payment system, using Near Field Communications (NFC). With iOS6 coming with a coupon and ticket app called Passbook, it may also be the case that Apple will later allow iPhones to act as credit card terminals, perhaps utilising technologies from its Apple Store EasyPay setup. While all this is in the not-to-distant future, Australian and US iDevice owners have another system just coming onto the market from PayPal, called PayPal Here. Below, the US website announcing its availability. The Australian PayPal site shows a “Notify me when it’s ready” sign but some time back when it was first mooted coming to Australia, I applied to go on PayPal’s waiting list. This was back in April. In recent weeks, I was notified things were on the move. Last week , apparently in preparation, my PayPal account was suspended, pending receipt of documents pertaining to security questions, including if I was at all politically connected to anyone in the public eye. Seriously. I had to fax or email documents containing my photo ID and birthdate, as well as documents showing my name and current address, such as a utility bill. I used my US Passport business VISA for the former. This was accepted eventually, and I was in business, even though the small triangular card reader was yet to arrive. The free app was available to be used however. Doing this has drawbacks, though. 2. 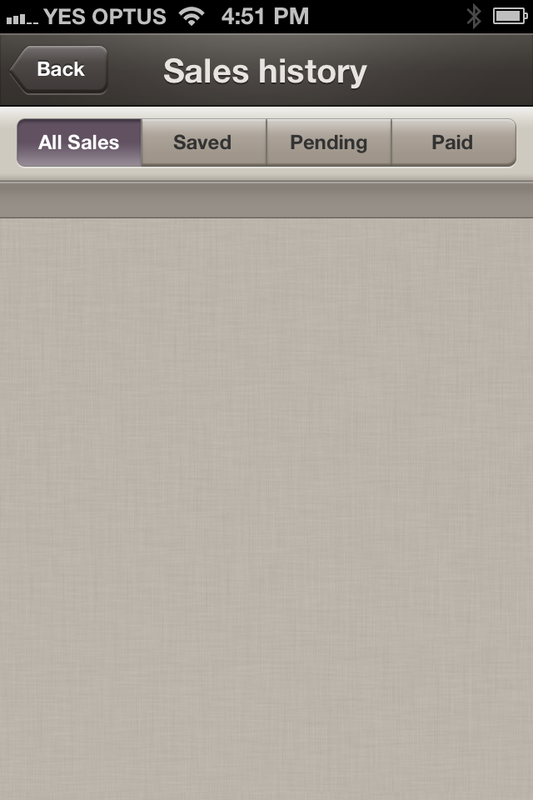 It takes 21 days to clear into your PayPal account, plus a few more after that to go into your nominated bank account. 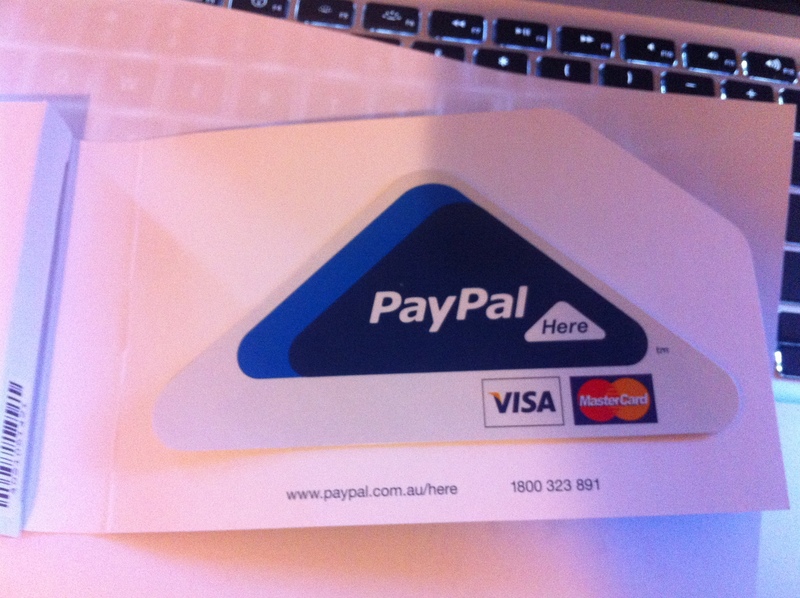 Fortunately, my card reader arrived by courier yesterday, after being notified by PayPal Australia to expect it in 3-5 business days. It actually came just a day or two after that email, with its courier tracking details. Here are a number of shots I took with my iPhone showing the boxing of the unit. This might not quite match the unboxing of a new Mac, but still…. 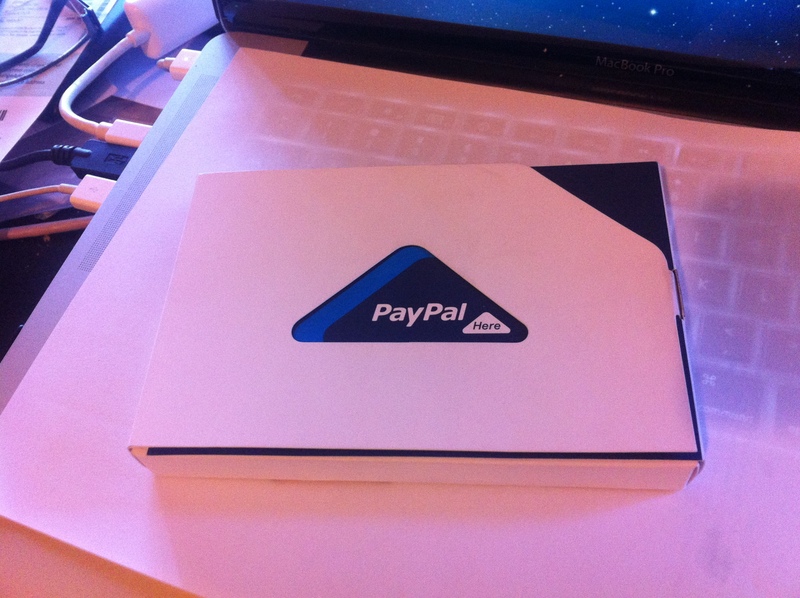 It’s nicely done, complete with the adhesive label to place on your front door, and PayPal’s local support number. I haven’t tried to reach support yet, but would think that anyone trying to compare various payment systems ought to incorporate a comparison of support parameters, such as time spent waiting, quality of answers, followup, etc. 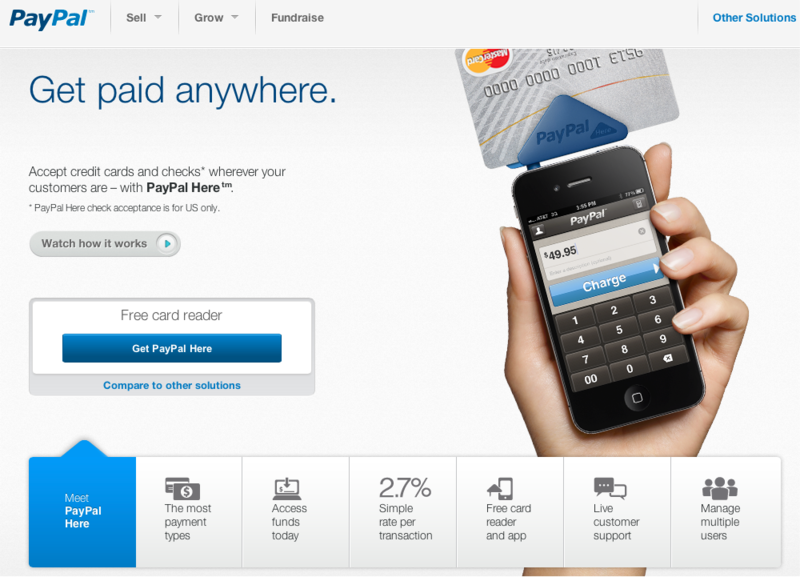 Using the unit requires you to download the free PayPal Here app from the App store. 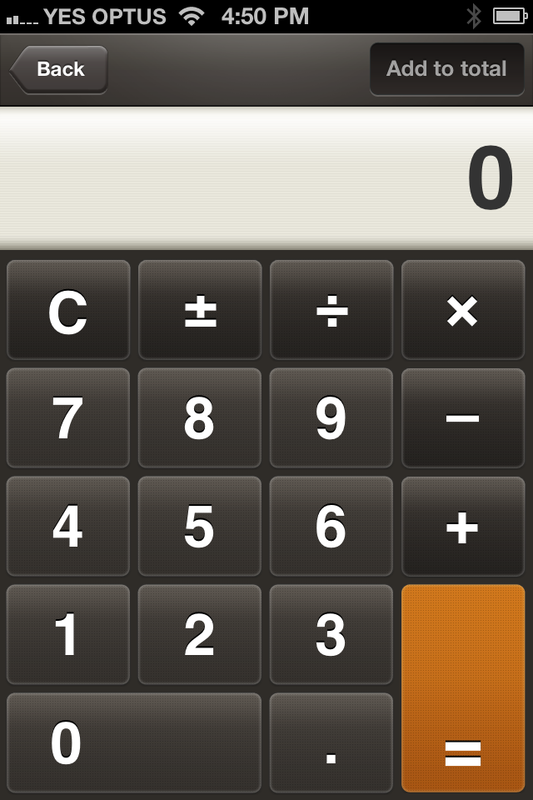 It is set for the iPhone, but will happily expand to 2x appearance on the iPad without much pixelation. There can be a problem with iPhones with cases which make full insertion of the card reader difficult which I have already discovered with certain cables. 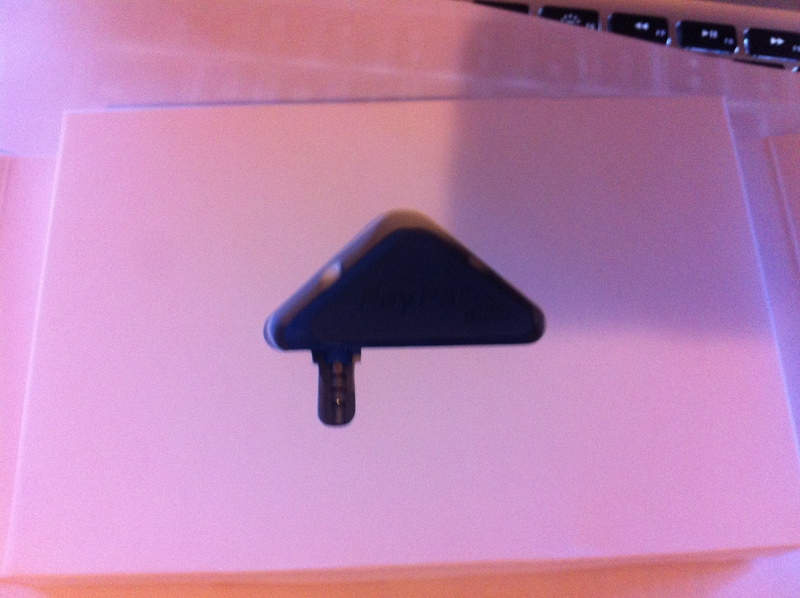 The card reader, unlike the Square unit, contains a triangular cover which partially rotates and “grabs” the iPhone preventing the unit from swivelling. Again, with a thick iPhone case, this feature just gets in the way. I have swivelled the unit, and held it for a successful card swipe, but clearly if one is to use it frequently, it might require the temporary removal of the case. The app., by the way, allows you to practise swiping without incurring fees, and as a way to test the functionality of the card reader. Let’s now go look at the app itself, which has a number of interesting features. 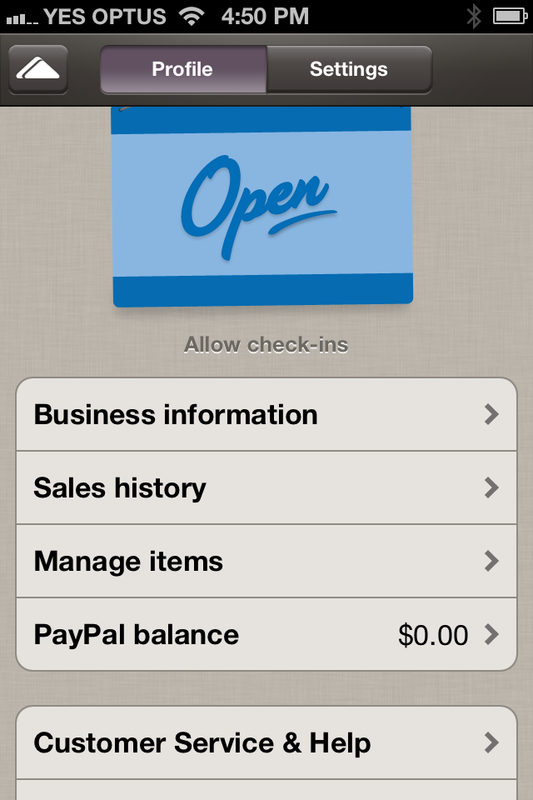 The first is the “Open for Business” screen, above, which connects you to PayPal to show balances, as as well the means to input items and information about your business. 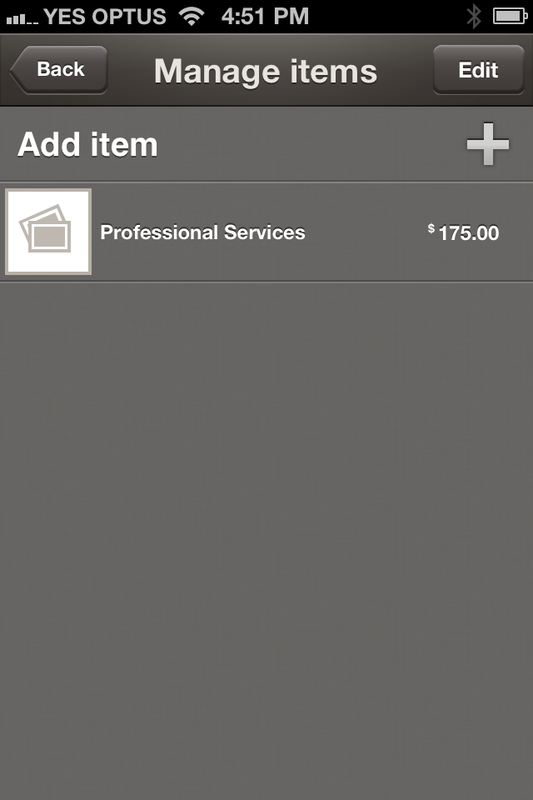 There are a variety of settings, above, where you can list your inventory and give each item a sale price, and keep a running total of items being purchased. It night be useful for a bar or restaurant, for instance, collecting table orders. Each item can have its own amount and description, above, quite useful for those working garage sales or fleamarket transactions. 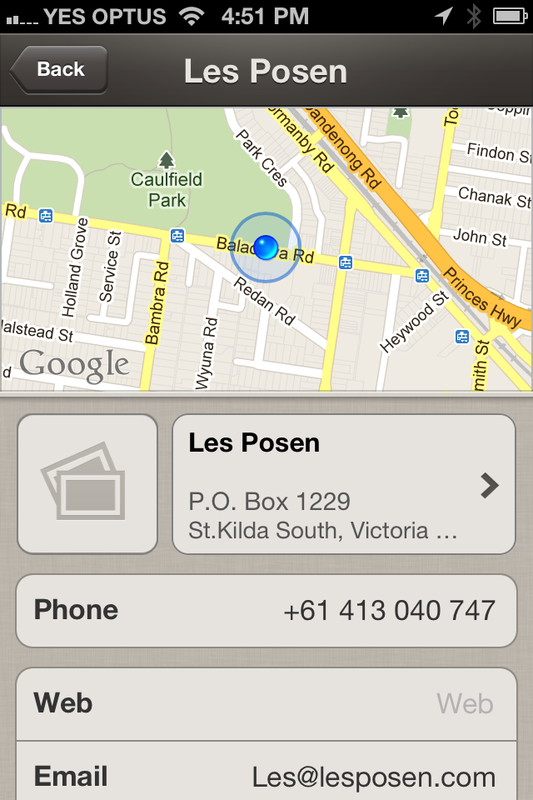 The app also includes the option, above, of putting in your business information, including either your mapped place of business and/or your correspondence address, as in a post box. There is also the opportunity to track sales figures, both past and pending, above. 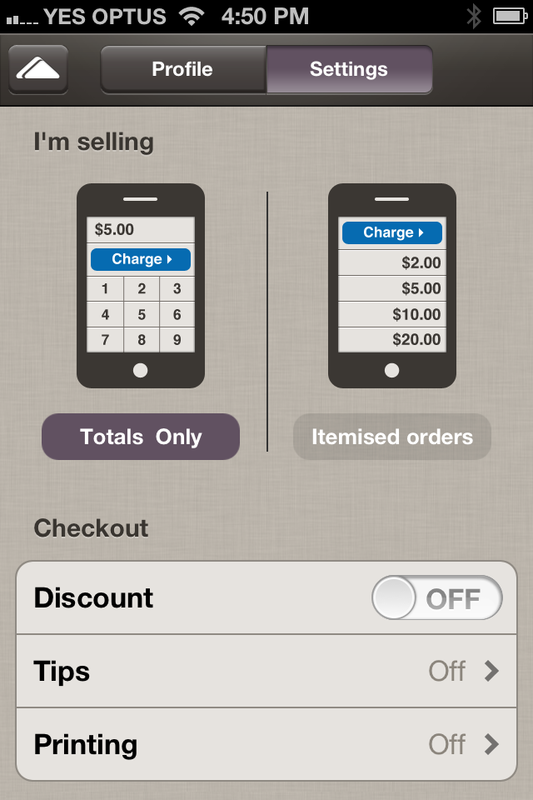 Items sold may include not just physical goods, but services too which can be itemised. 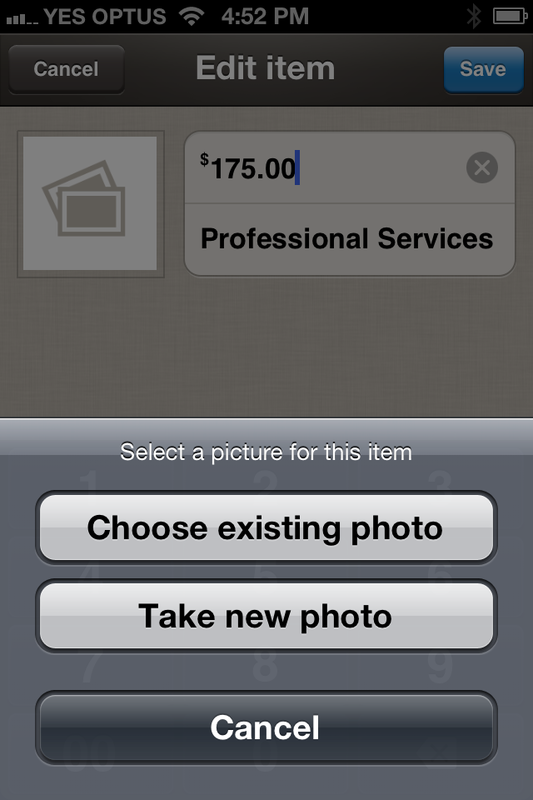 There is also for goods, an area to display a picture of the item next to its description and cost. The picture can be imported from the Photo app, as you can see, below. There are some questions that remain however. Will the card reader work with all cards, and what of worn cards? How well will it work with the next iPhone, if rumours of its headphone jack heading south to the bottom of the unit prove to be true? And what is its future should Apple release its own credit card system in the near future? The beauty of the PayPal system is the small size and thus portability of the reader, the data safety via encryption offered standard by PayPal, the well thought out version 1 of its app, and the public’s general awareness of the PayPal brand. It’s also relatively easy to use and navigate through the various app screens, and the costs are very good when compared to what’s already out there. While it’s currently limited to VISA and Mastercard credit and debit cards, the lack of AMEX and Discover might be a concern for some. Mind you, I can’t recall the last time a patient tried to pay for a session with AMEX. I’ll update this blog entry once I start to make some “sales” with the unit, and report back on its actual usefulness. This entry was posted in iPad, Presentation Skills, tablet and tagged Apple, credit card payments, gadgets, iphone headphone jack. Bookmark the permalink. Hey Les. Interesting read. Thanks for sharing your experiences and research.